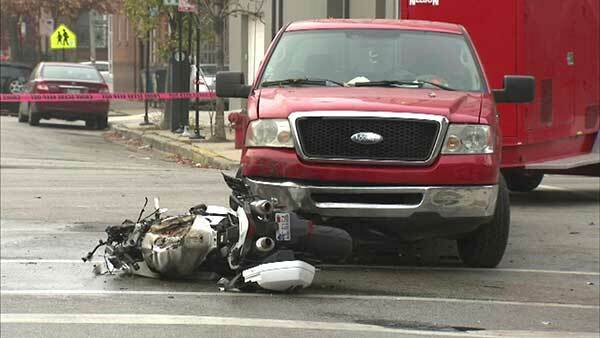 A motorcyclist was killed in a crash in Chicago's West Town neighborhood. CHICAGO (WLS) -- A motorcyclist was killed in a crash in Chicago's West Town neighborhood. Police said a motorcycle and a pickup truck collided near West Chicago Avenue and North Wood Street just after 7:15 a.m. Wednesday. The 44-year-old motorcyclist was taken to Stroger Hospital and pronounced dead. The victim has not been identified. No other injuries were reported. Police are continuing to investigate the cause of the crash.